Just How Many People are Injured or Killed Every Year by Medical Errors? A recent post in the Des Moines Register in Iowa has highlighted something that just doesn’t seem right. Just how many people across the United States are actually being injured or killed every year from medical errors of any type? The fact is that we just don’t know. Unlike some health statistics, like the numbers of people across the U.S. who are dying as a result of the now widespread opioid epidemic, there is no national register of medical errors. The Center for Disease Control and Prevention (CDC), a federal body, for example, keeps the figures on opioid related deaths, but not medical errors in general. Yet a 2016 estimate of fatalities caused by medical errors put the figure at around a quarter of a million. That sort of figure, if it could be backed up more precise data, would put the national death rate from medical errors in third place after heart disease and cancer. The Iowa report anecdotally confirmed the very real seriousness of medical errors in that state. A Heartland Health Research Institute survey into the prevalence of medical errors revealed that of around 1,000 Iowans polled nearly 1 in 5 (19%) had experienced some type of medical error. The survey results involved 1,000 randomly selected adults across the state. 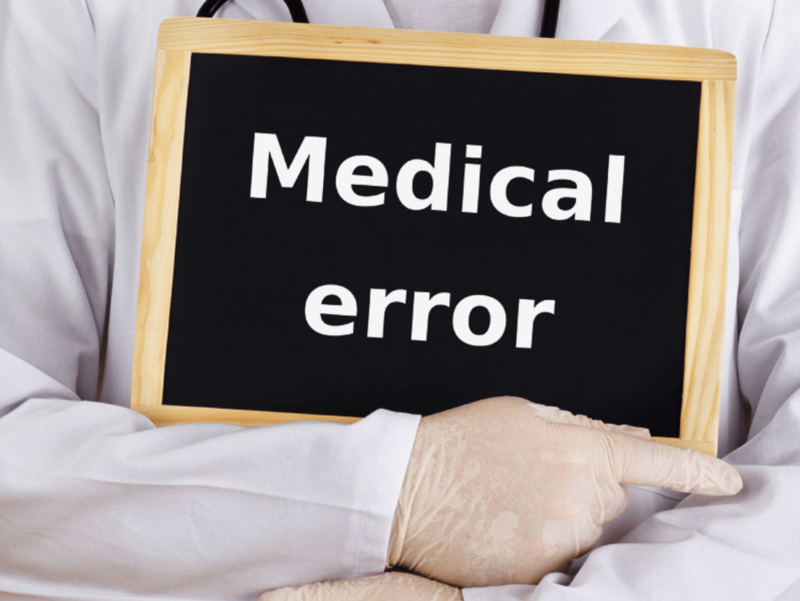 Medical errors included medication errors, wrong diagnosis and surgical errors. If the figures are anywhere accurate, and we have no way of knowing whether they are or not, they can be extrapolated across Iowa and by extension across the country. Iowa has a population of just over 2 million people. That means that around 400,000 of them have experienced a medical error. Extrapolate that to the U.S. as a whole, with a population of 326 million and that would mean 65 million people having experienced some kind of medical error. In Iowa, at least, there is no state specific requirement that medical errors that are recognized by medical institutions are tracked and the federal government doesn’t do that, either. Iowans who have realized they have been misdiagnosed, misinformed about medication, mistreated in hospital during surgery or otherwise have no obvious way of registering the errors they have experienced and their consequences. And if this is happening in Iowa, how many other states is the same thing happening? Even in states where mandatory reporting of medical errors is required, there have been suggestions that under-reporting by medical institutions is rife. It would be hard to imagine the same thing with the results of car accidents. It doesn’t. Statistics on vehicle accidents, what caused them, how many injuries and fatalities there were and where they took place are kept by federal bodies like the National Highway Transportation Safety Authority (NHTSA). The CDC keeps meticulous records of other health related events such as cancer and heart disease rates as well as the already mentioned opioid related deaths. No-one would expect the NHTSA or the CDC to get its figures from a telephone survey! 8% were in some other kind of medical institution. 95% said that the state should impose mandatory reporting of medical errors by medical institutions when known about. Iowa’s experience is that the stumbling block to proper recording is not just the fault of medical professionals and institutions. In fact, there is some recognition that attitudes towards reporting have changed and that the incidence of expensive lawsuits is likely to come down if errors are honestly reported rather than covered up. It is up to state and federal legislators to ensure we know exactly what is happening to medical error rates across the U.S. so effective planning and error mitigation can take place.